Looking sharp as he contemplates another try at getting seed from the bird Feeder. 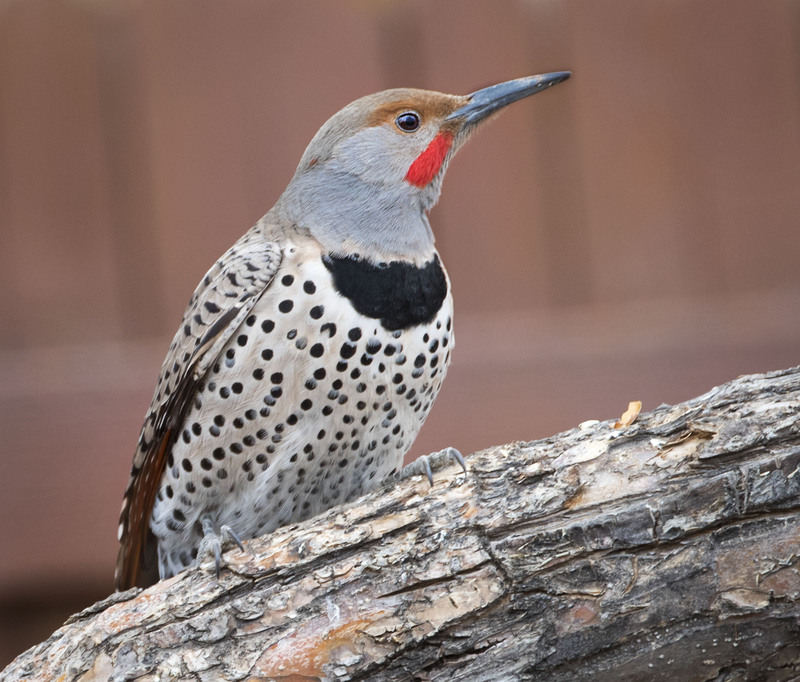 This northern Flicker was just a bit too heavy to stand on the collapsible perches on our feeder although it did not stop him from giving it a go. He had to constantly work by flapping his wings to stay on the perch and I am sure he was using as much energy as he was taking in. After a few short tries he must have thought the same as he moved on to looking for food in the trees. I always enjoy their visits to our feeders. They have impressive markings. Nice photo. Hi Jim, they are impressive looking birds and to see them so colorful in the winter is quite a treat. Hope your day is off to a wonderful start. My day started off chasing the super-blue-blood-eclipse-moon. I had a good time. I posted about it. Hi saw the posts sounds like a long night waiting for a photo. Beautiful capture of this handsome bird! He is a Dandy and very personable. Did you know these birds will drink sugar water from a hummingbird feeder s well as take nuts/seeds? Beautiful fella there! Hi Shannon, i did not know they would drink from hummingbird feeders and when we see them at our feeders they do spend a bit of time rooting around trying to get the large nuts in the mix. Thanks and thanks for taking the time to leave us some feedback. We appreciate it.